Mnet unveiled the line-up for its new music survival program “Breakers,” and it is impressive. 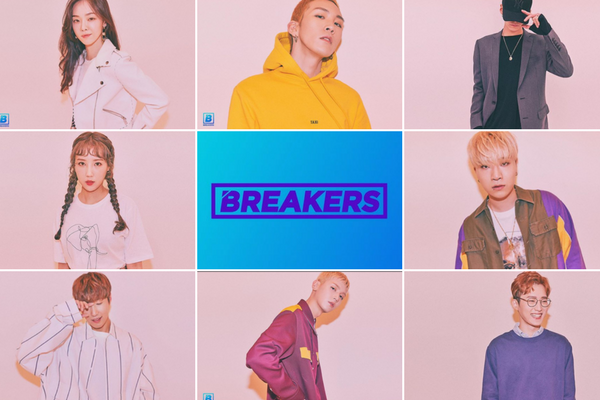 Mnet has revealed the singer-songwriter contestants for their upcoming music survival show “Breakers.” It is an impressive line-up with a few big names. Looking at their musical history, they all stand out as strong, all-around artist and includes those who are solo artists as well as those in a group. Moreover, should you listen to any of their songs, it is clear that the contestants have a distinct sound that sets them apart from others. One of the major names in the line-up is Samuel Seo. He is a new generation singer who started his career in 2013. Additionally, his collaboration with Qim Isle, “Mango,” earned him an award from the 2018 Korean Hip-Hop Awards. Third in the line-up is Colde, better known as offonoff. His series of releases including the awarding winning “gold” featuring crooner Dean, presents a distinctive, emotive sound. Listening to one of Coldes’ songs is more like a feeling an emotion than anything else. The next is contestant five, PENOMECO. He debuted in 2014, and since then, he appeared on “Show Me The Money” with ZICO and DEAN. “Breakers” is a new music show featuring eight singer-songwriter participants. All of the show’s contestants have proven their ability to write lyrics, compose, and perform their own music. Furthermore, in addition to the eight contestants, SHINee Key will be the MC for the program. The show begins broadcast in April.